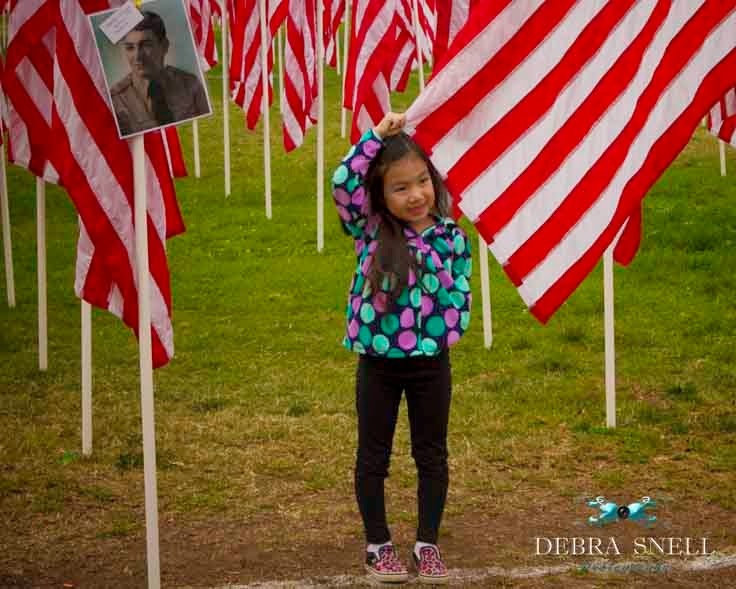 With all the military in my family, the years of covering Memorial and Veterans Day events as a TV journalist, I've been to countless ceremonies honoring U.S, Soldiers. 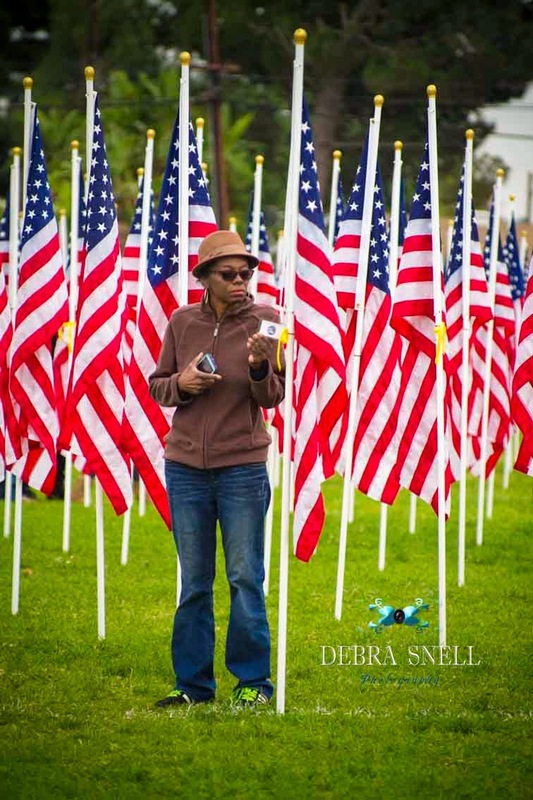 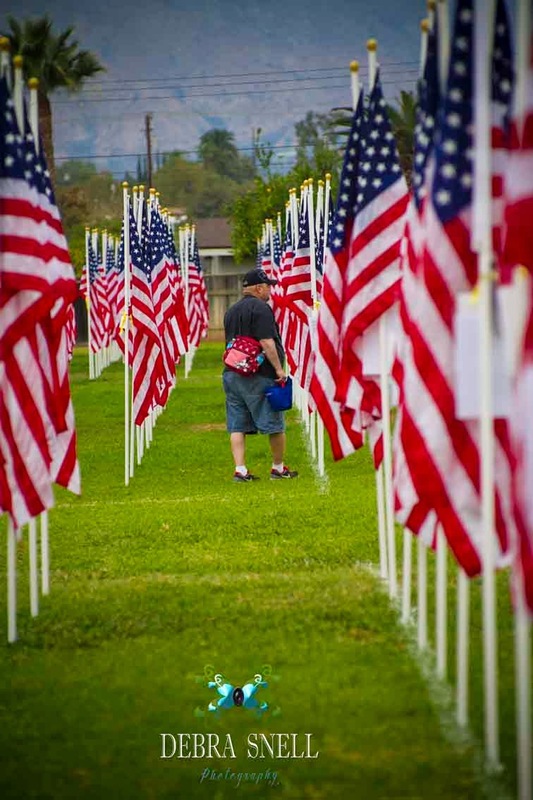 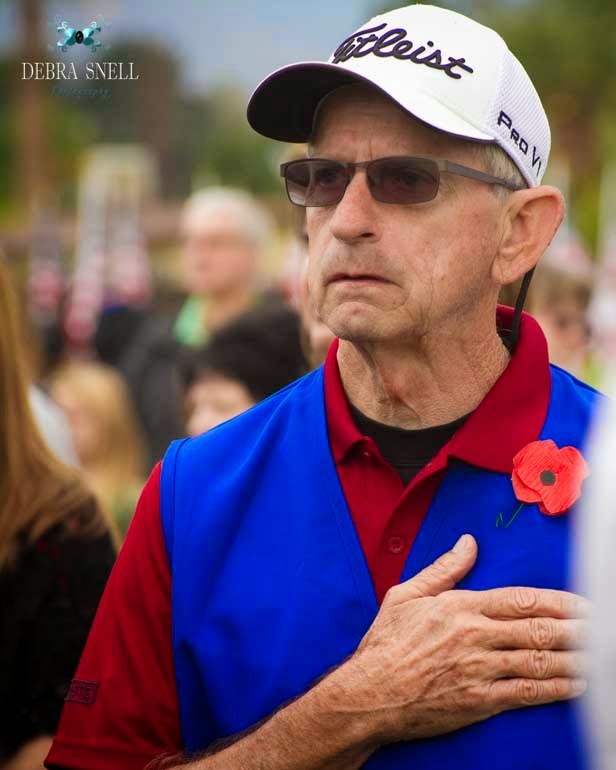 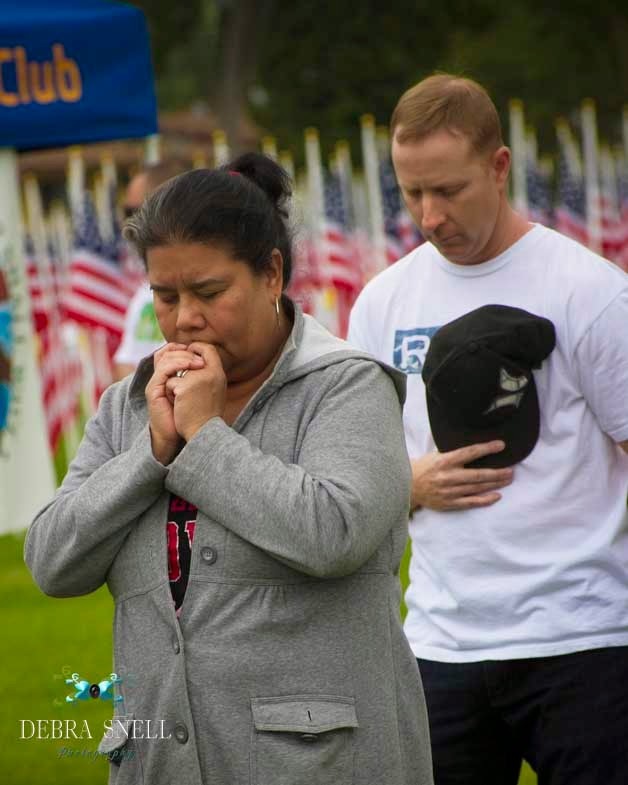 But this week I was drawn to Covina California for the "Field of Valor" display create by the Covina Rotary Club. 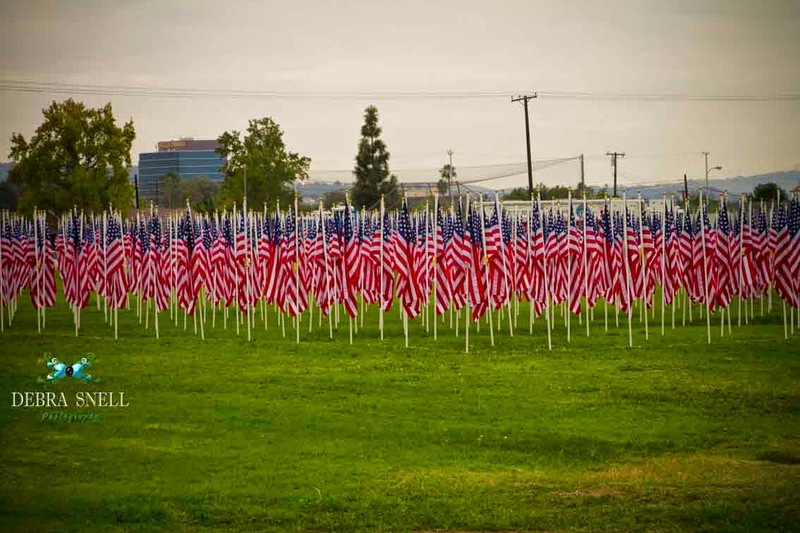 2000 life size Red, White and Blues flags, that stood at attention as if they were soldiers. 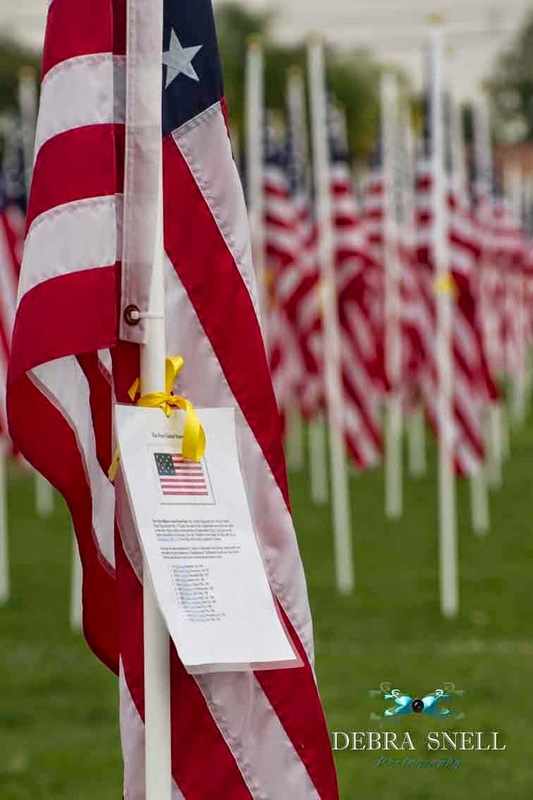 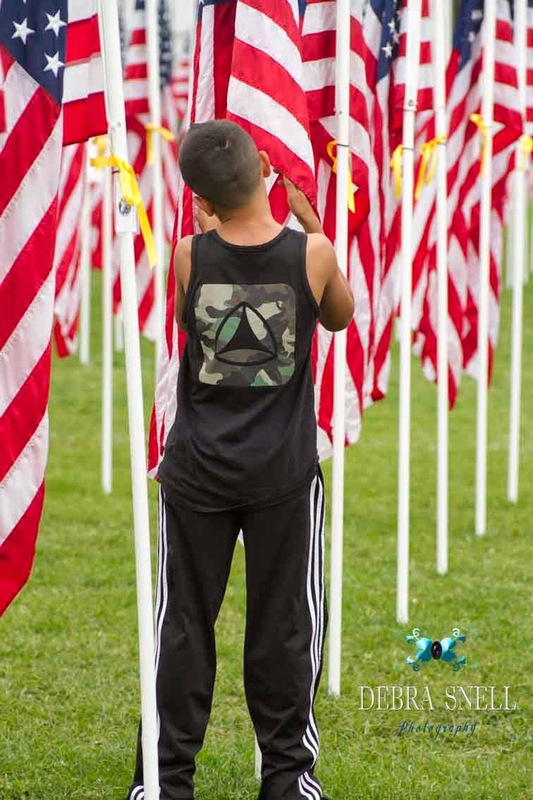 In fact if you took a closer look, you realized these flags were representing soldiers, is such a meaningful way. 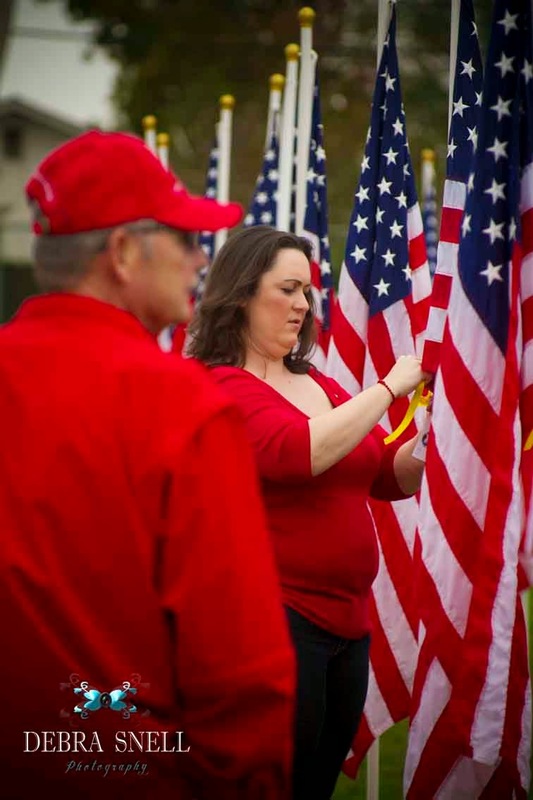 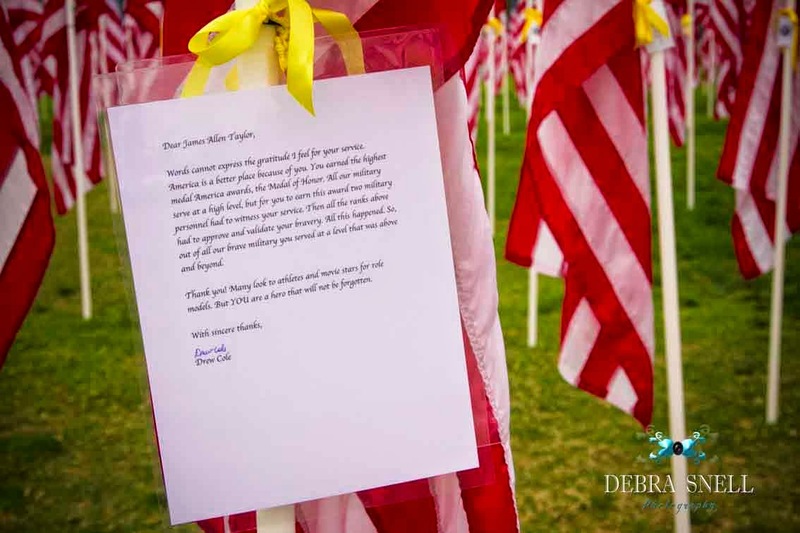 The flags were dedicated to Veterans like James Allen Taylor. 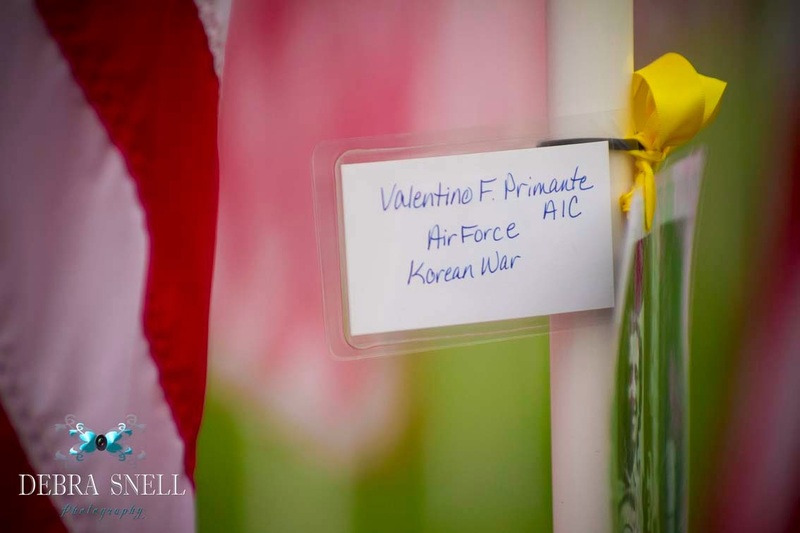 Their photos and stories attached with a simple yellow ribbon. 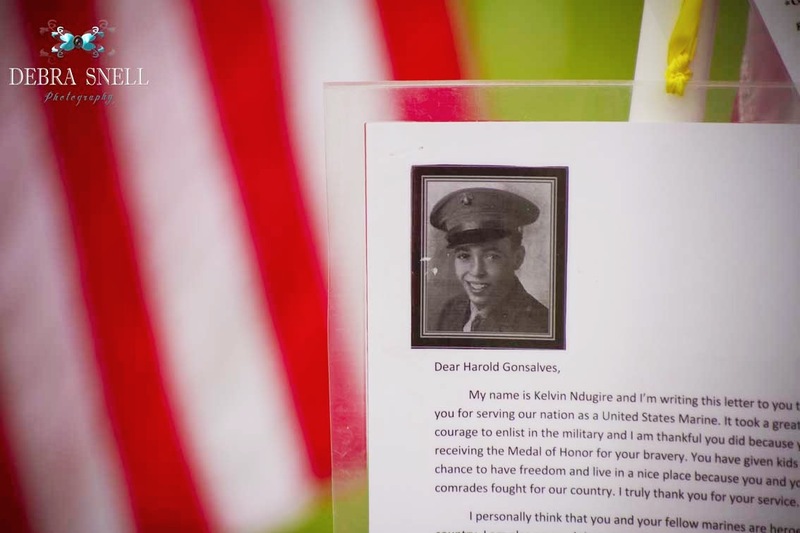 There were also thanks you notes to soldiers like Marine Harold Gonsalves who received a Medal of Honor for his bravery. 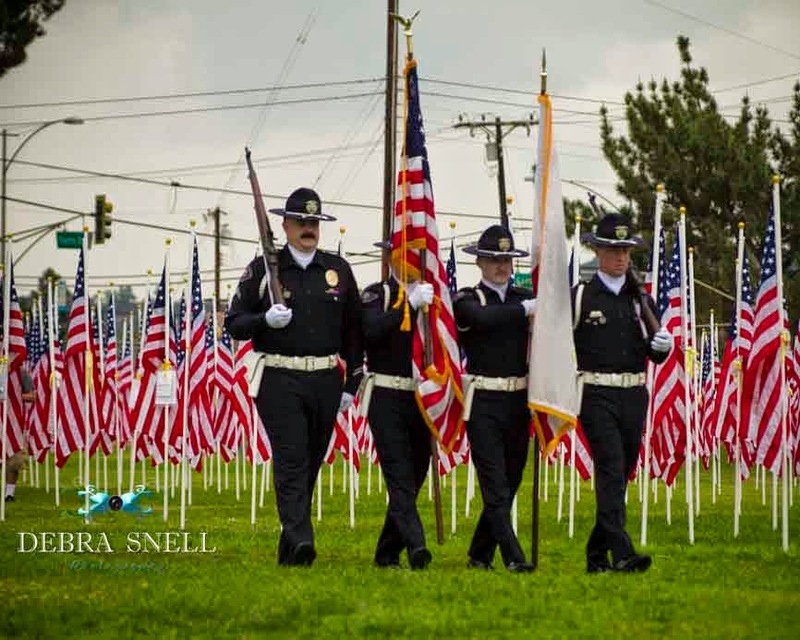 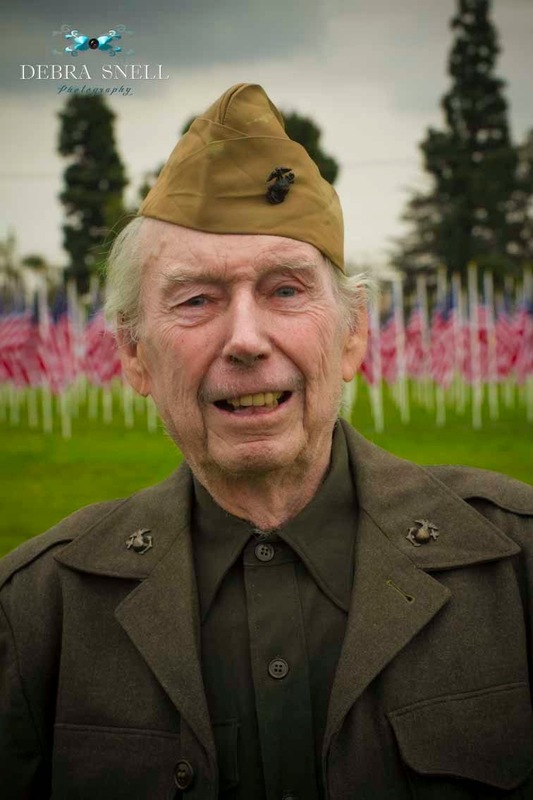 As people wandered through the sea of Old Glory, they would stop and read about these Hero's. 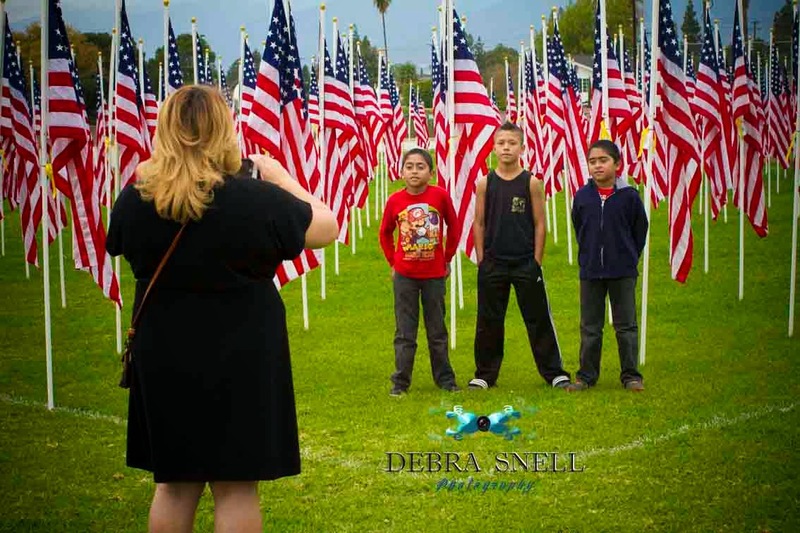 You could feel the pride as others stopped to take pictures with these personalized patriotic banners. 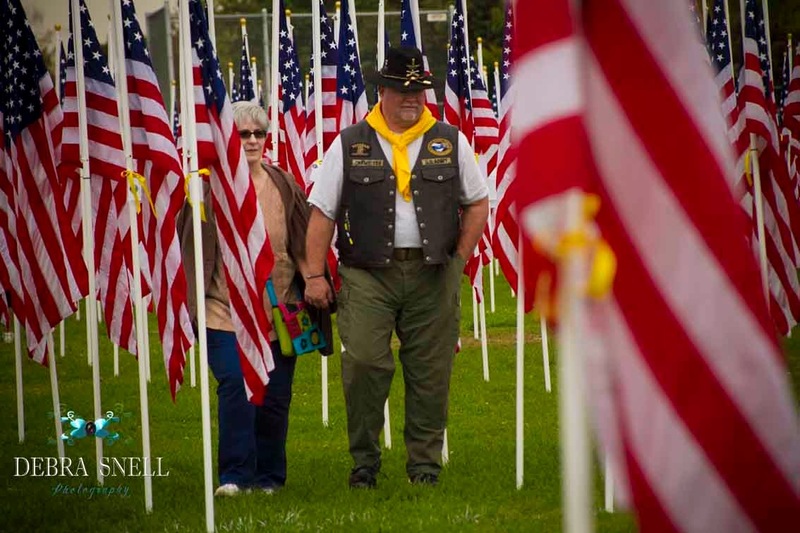 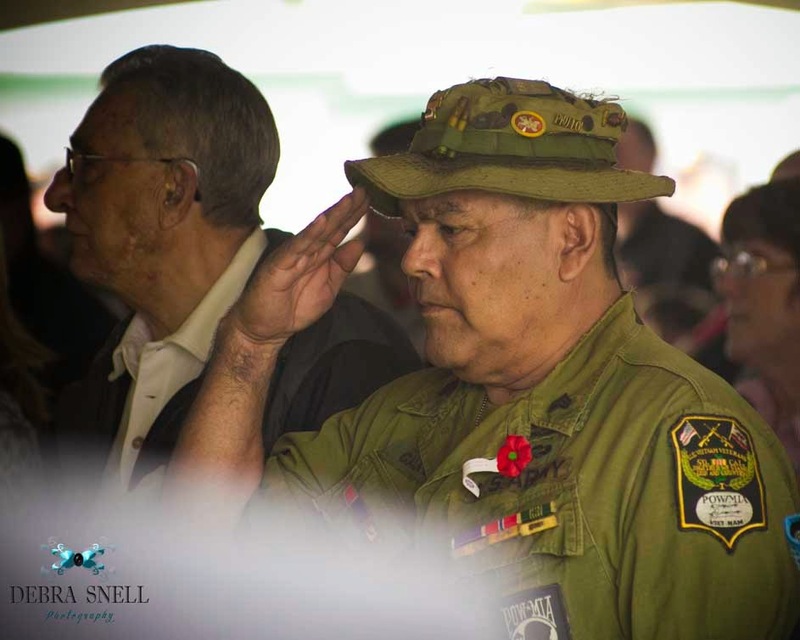 The ceremony on the same field, attracted many Veterans from all branches of the Military. 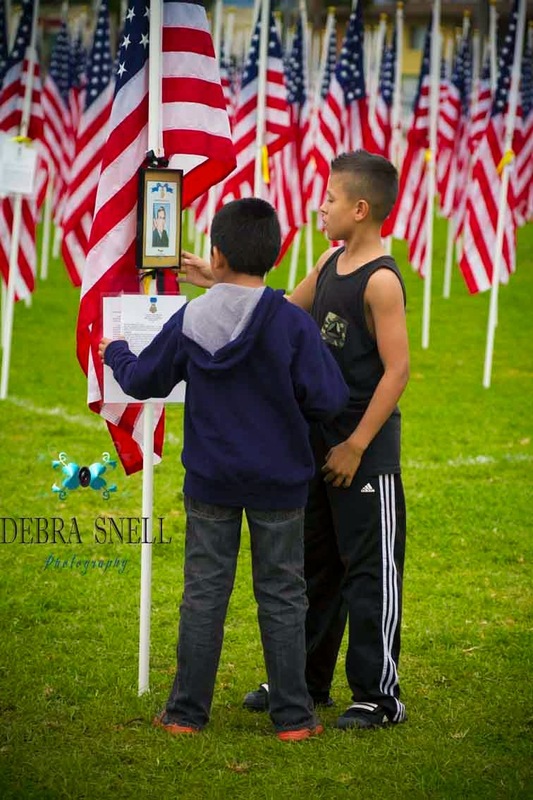 They came decorated to recognize their service and those absent. 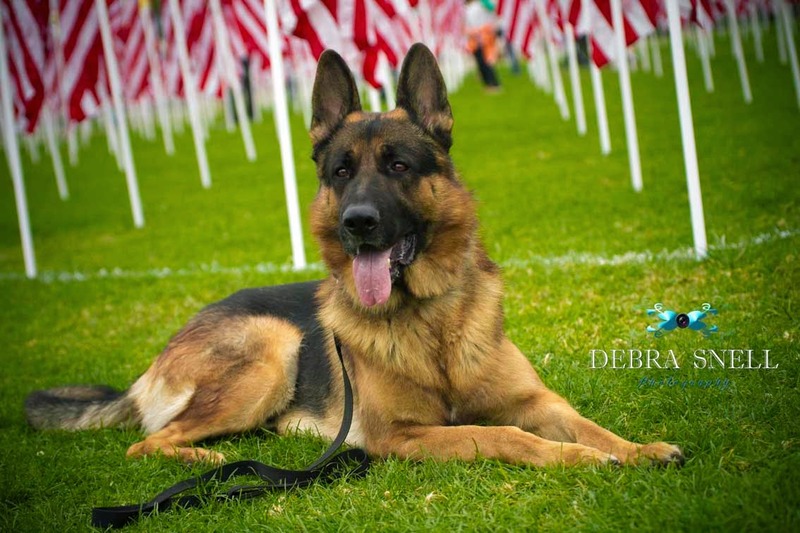 and celebrate what it is to be a Soldier, Trooper, Marine, Pilot, Cadet, GI, Soldier-At Arms, Commanding officer and Military Working dog. 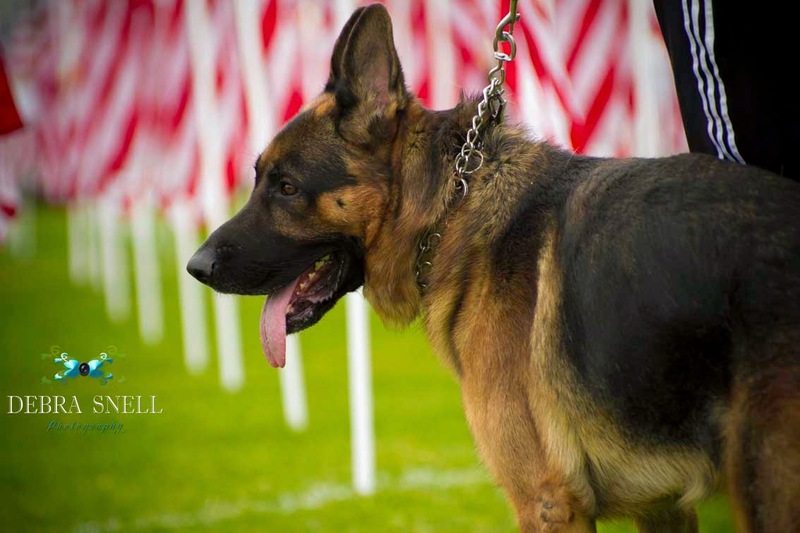 Gunnar served in Afghanistan along side his human partner. 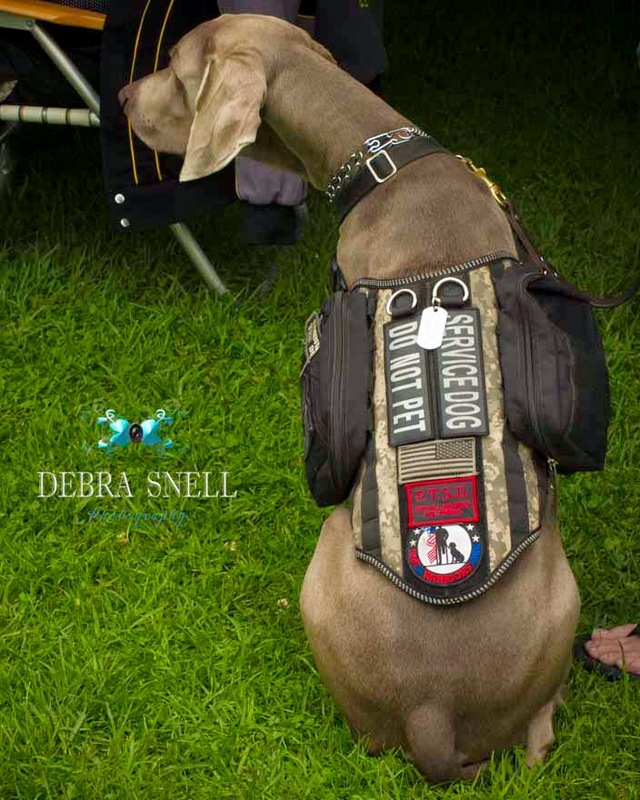 This deployed dog injured in battle, made it home with his soldier, who asked not to be photographed. 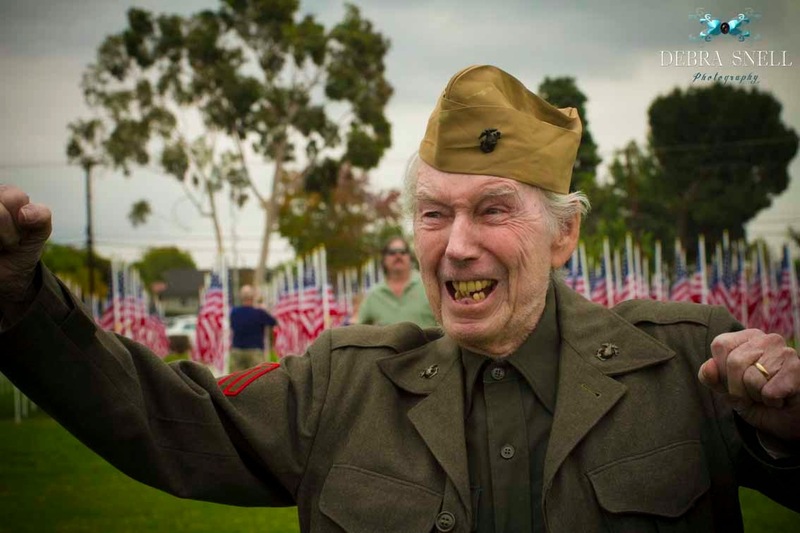 On the other hand, Wally a feisty 84 year old Marine Veteran was happy that I wanted to take his picture. 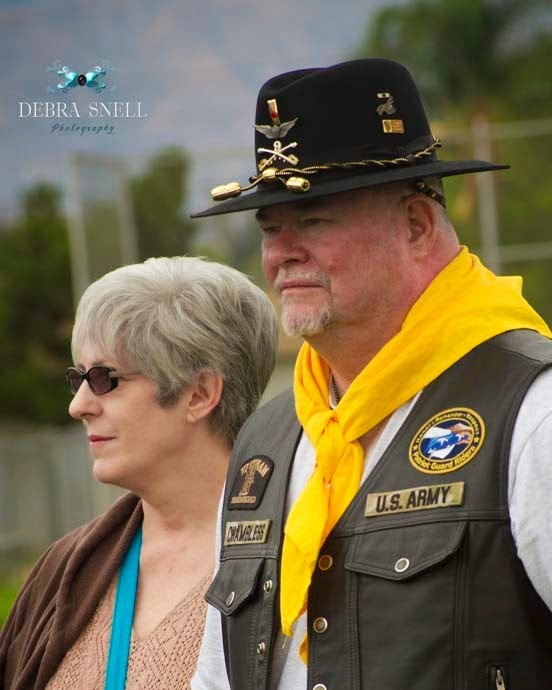 Especially proud because he can still wear his military issued jacket. 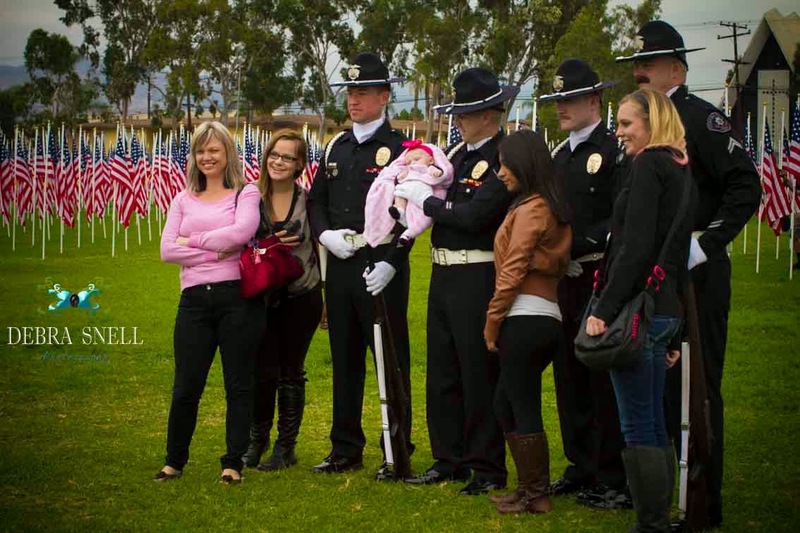 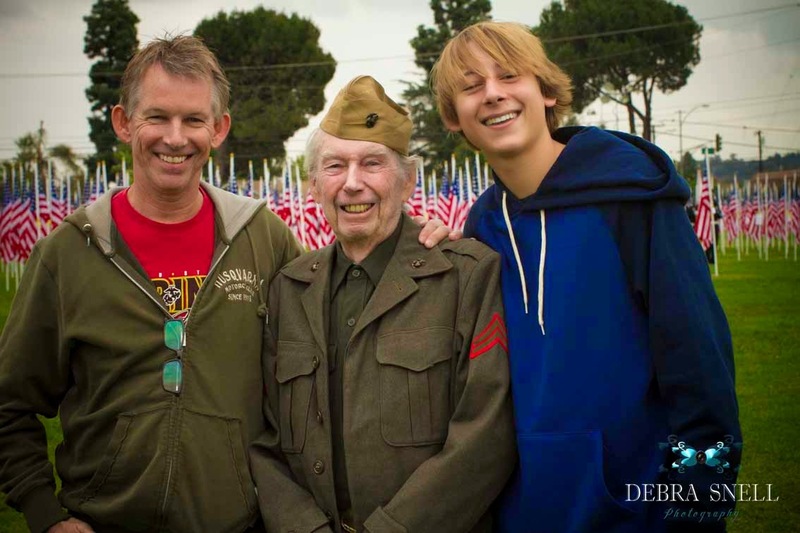 Three generations of Wally's family were here to celebrate soldiers on Veterans Day. 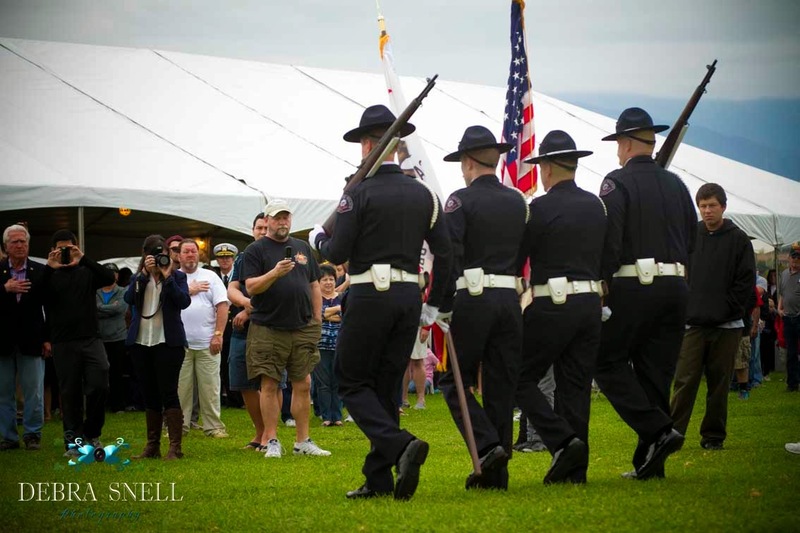 The color guard had many moments in the spot light, even after march of honor was done. 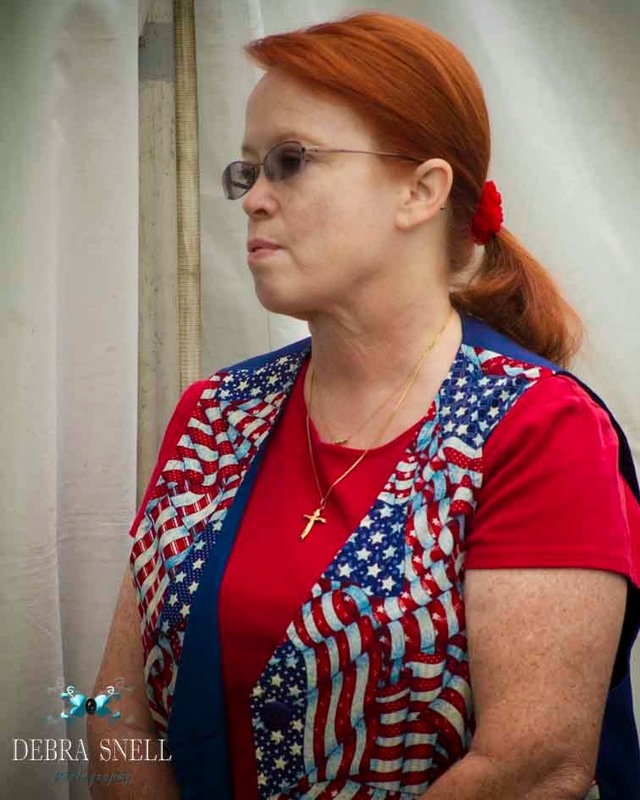 that seem to touch all of us with such deep patriotic pride. 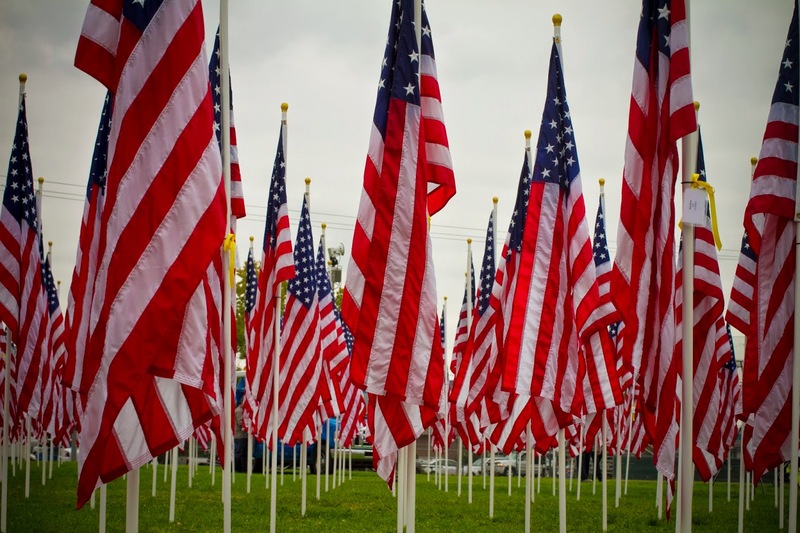 Especially because these symbols of our country represent so many wonderful people. 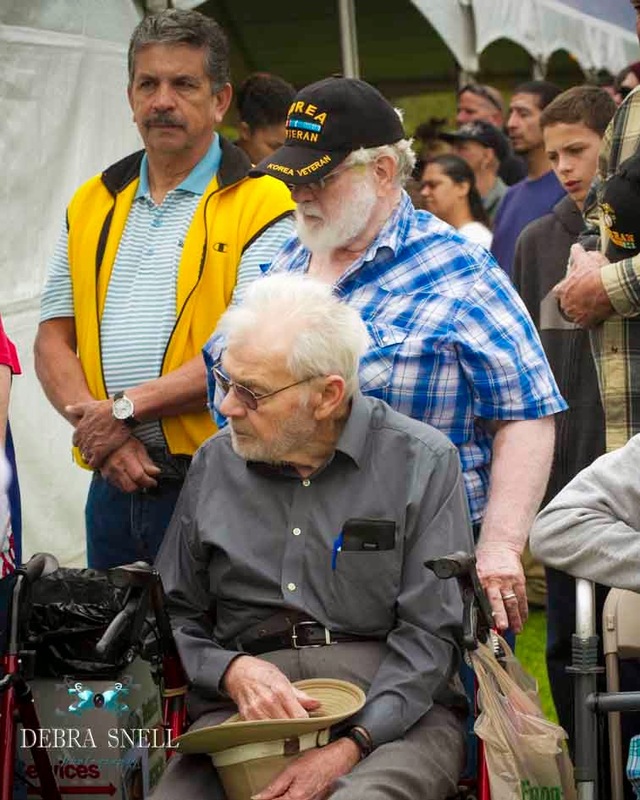 Lives we got a small glimpse of this Veterans Day. 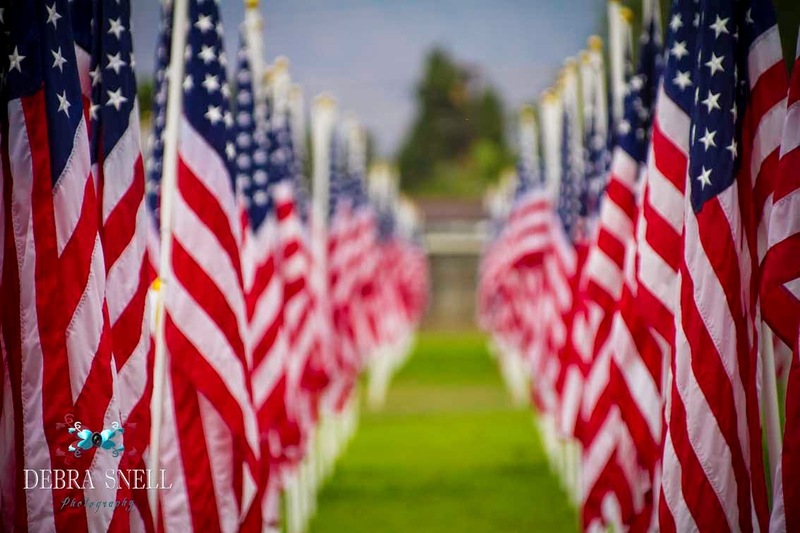 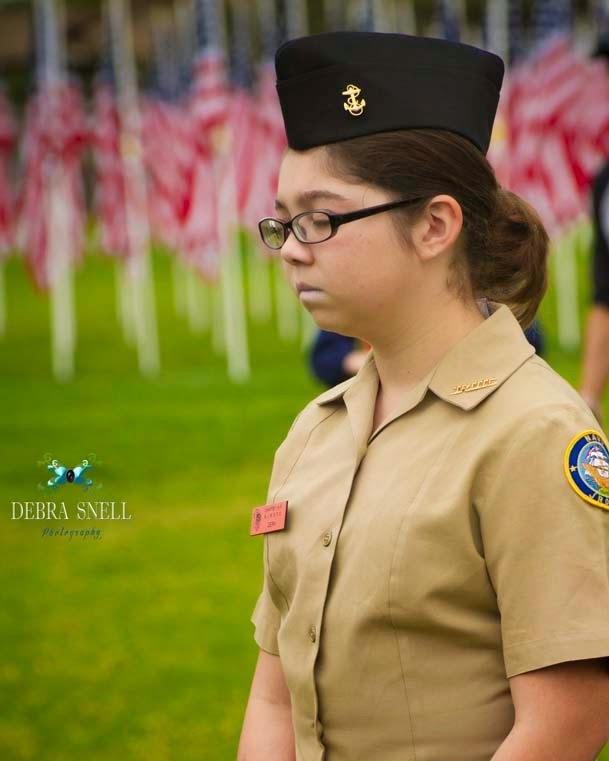 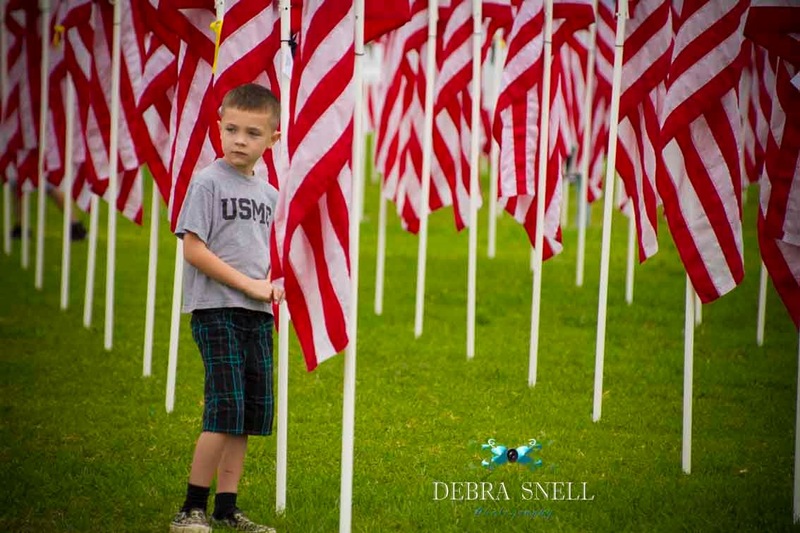 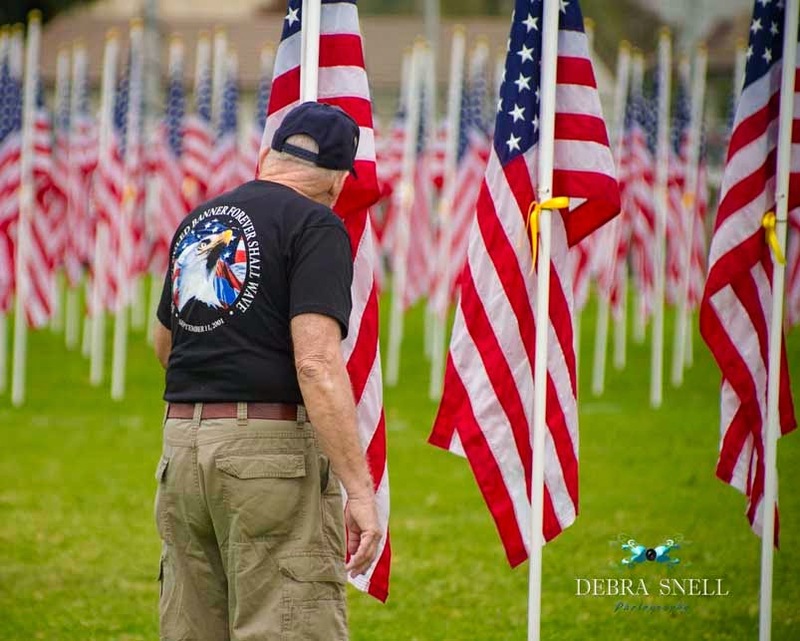 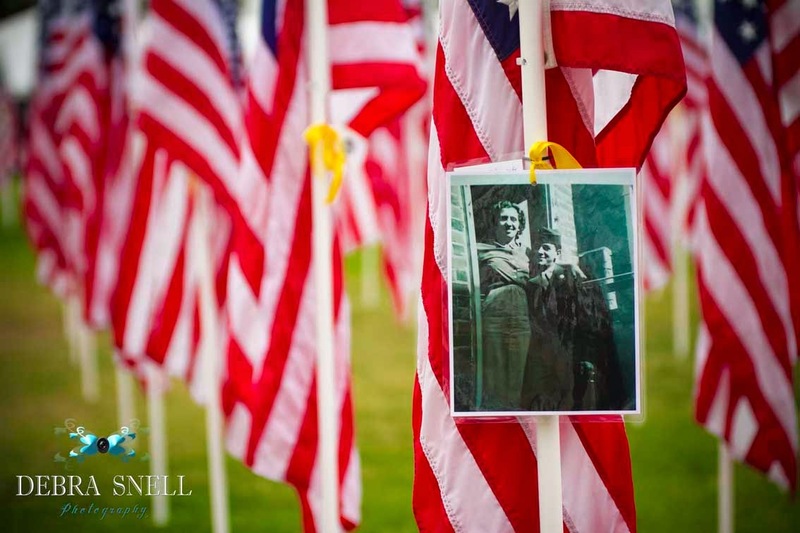 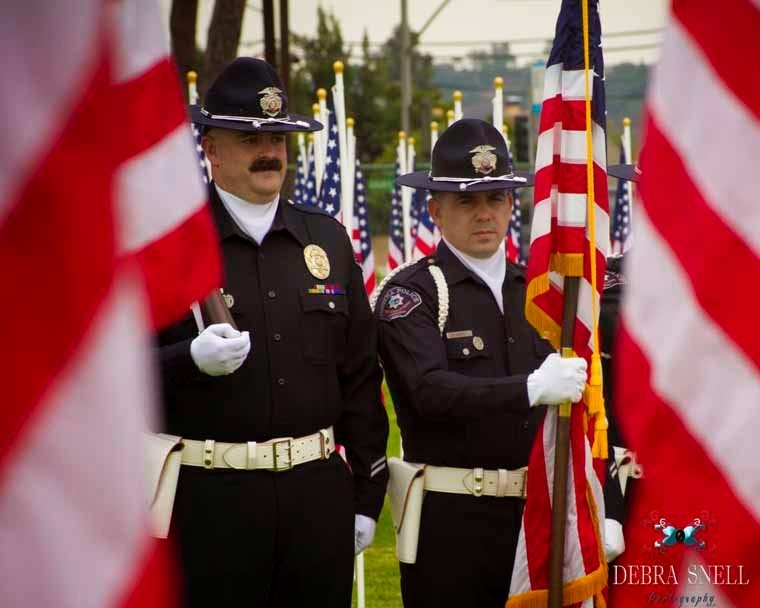 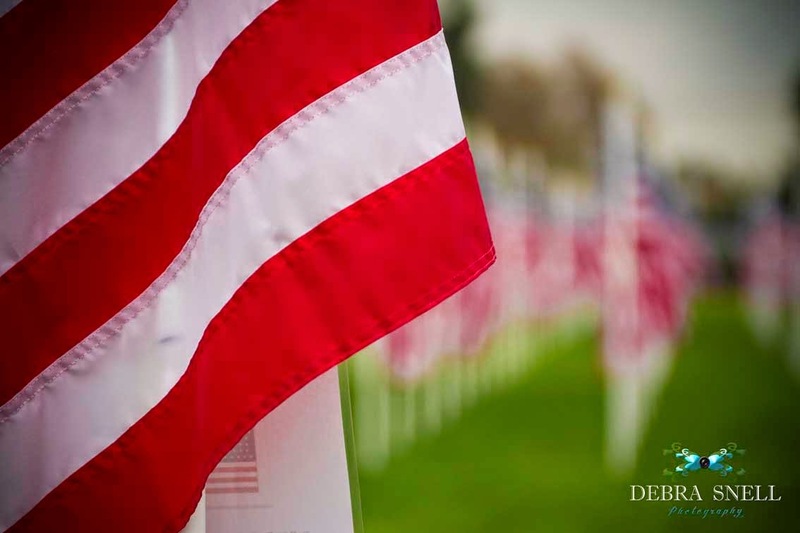 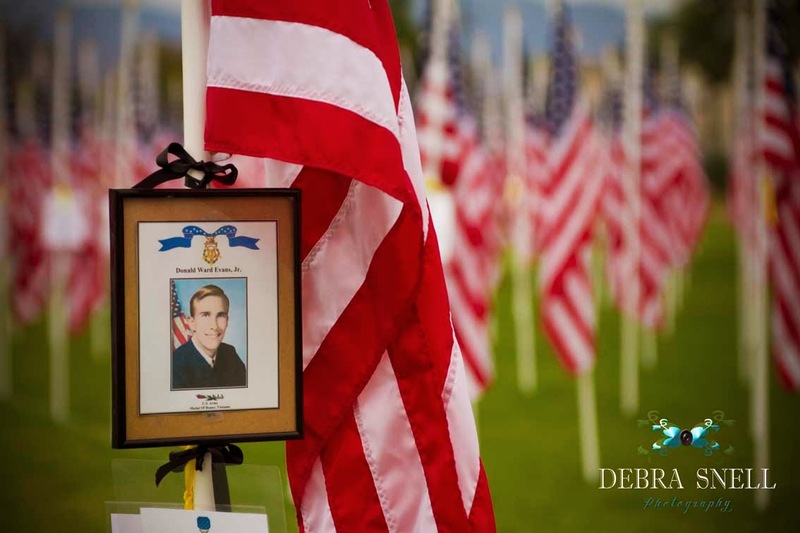 Happy Veterans Day to all Veterans of the United States and their families from Debra Snell Photography, and Thank You for your unselfish service.